When it comes to insulation companies, not all are made equal. If you live in Columbia, South Carolina, and need your home reinsulated, trust 31-W Insulation to get the job done right. We expertly install premium insulation from top manufacturers like CertainTeed and Owens Corning®, so you can trust that your insulation will protect your home from heat transfer and more for years to come. We’re a family-owned and -operated business, meaning we understand your needs not only as a customer, but as a homeowner. 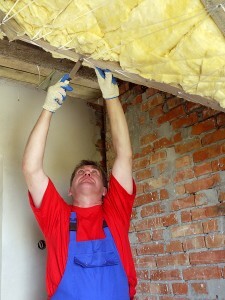 We’ve been serving the southeastern U.S. since 1972, so we have decades of experience in installing quality insulation. We never hire subcontractors, using only our own trusted employees for all of our work, so we can ensure that each project is completed to our high standards of workmanship and customer service. As one of the most trusted insulation companies in the area, we strive to ensure that every home we work on receives the full benefits of properly installed insulation. That means when you hire us, you’ll be able to enjoy more consistently comfortable temperatures in your home, which may also help ease the burden on your HVAC system and lower your monthly energy bill. To learn more about what makes us different from the other insulation companies in Columbia, South Carolina, contact 31-W Insulation today.